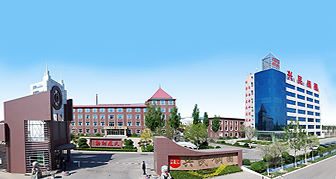 Production centre - Xingmin Intelligent Transportation Systems (Group) Co., Ltd. 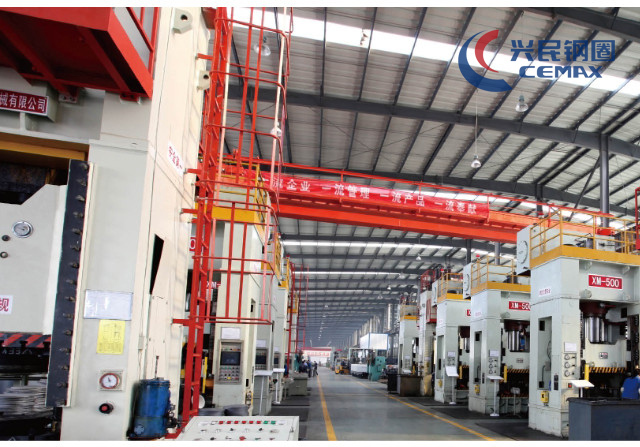 The disc workshops are equipped with 50 sets of YB32-315~1600 ton hydraulic presses and 160 sets of punch presses ranging from 100 tons to 800 tons. 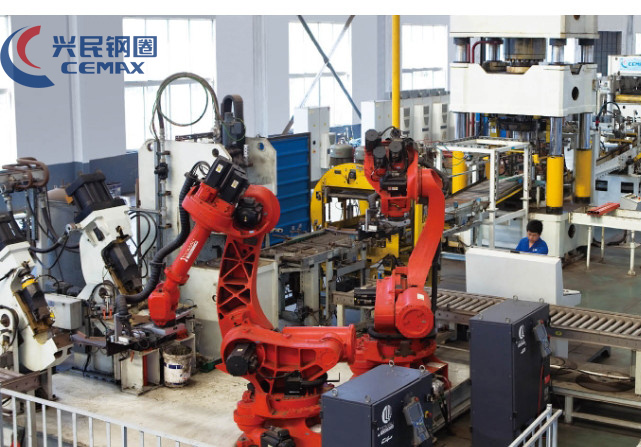 Output capacity perday is more than 26,000 pieces. 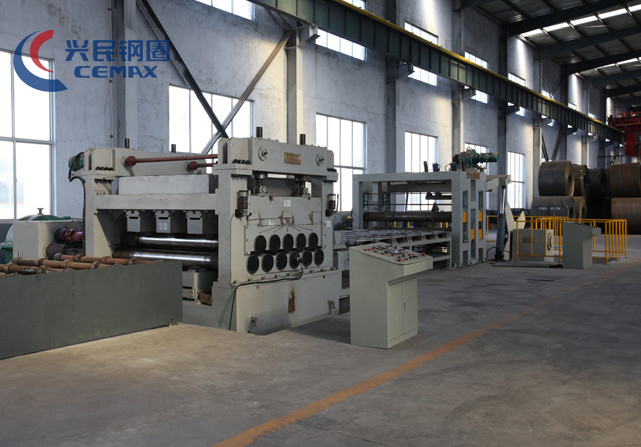 The ventilation hole punching process utilizes advanced technology. 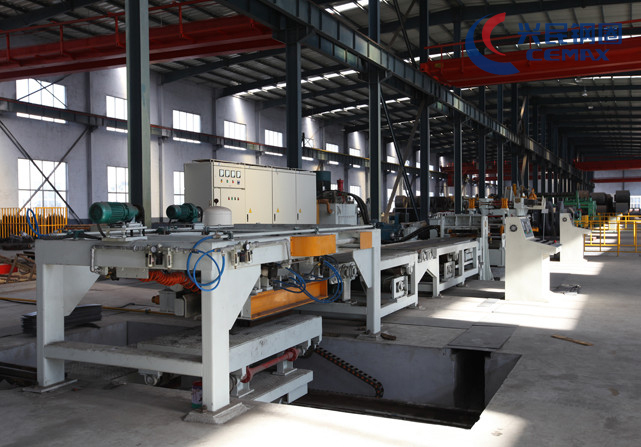 The whole process is automatically operated. controlled by PLC indexing devices. 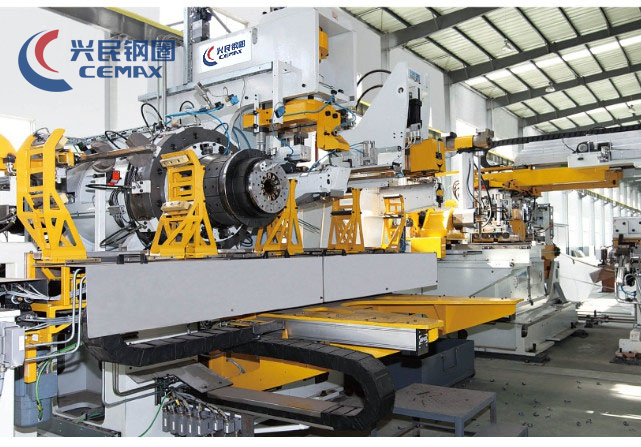 The disc truing process uses advanced CNC vertical Iathes with Japanese FANUC control system. 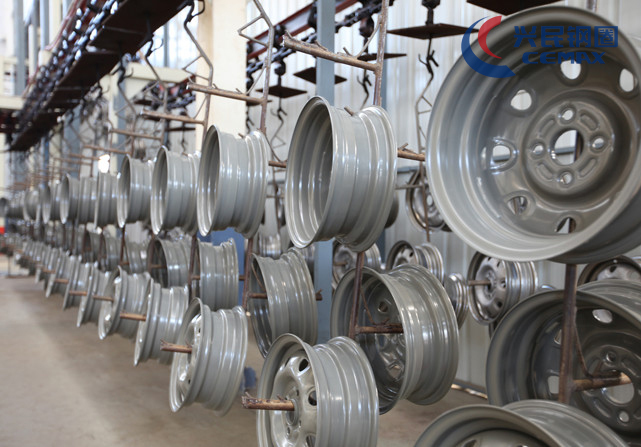 All the discs specifications are superior to the national standard, as a result, the products are well received by American and European customers. 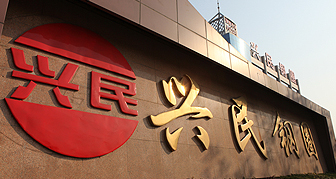 Xingmin paint workshops possess state of painting line. 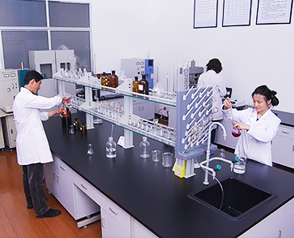 The line utilizes the tatest technology in the pretreatment of electrophoresis. 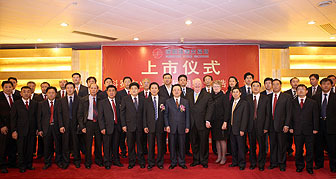 The anticorrosion performance conforms to the international standards. 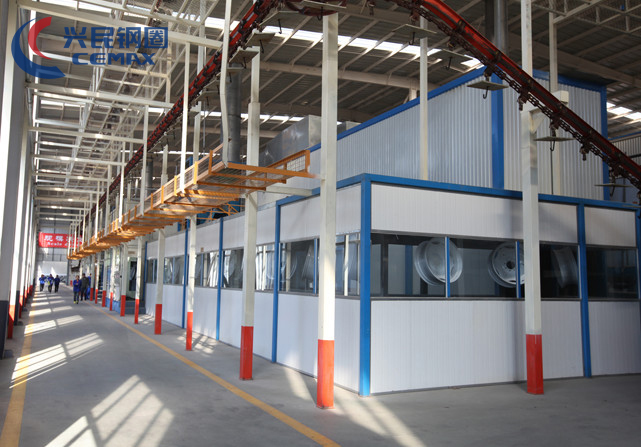 Xingmin is the first wheel company in China to use a chain conveyor line for electrostatic powder coating, which makes coating automatic. 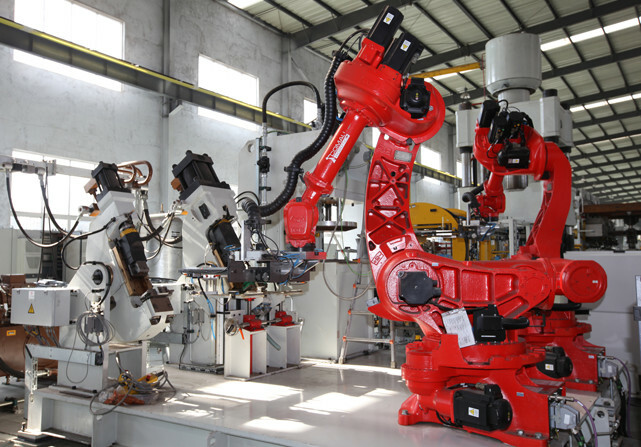 Robotic arms load and unload product on the conveyor line. The finished products go directly to the warehouse for packing, which eliminates possible wear and tear. 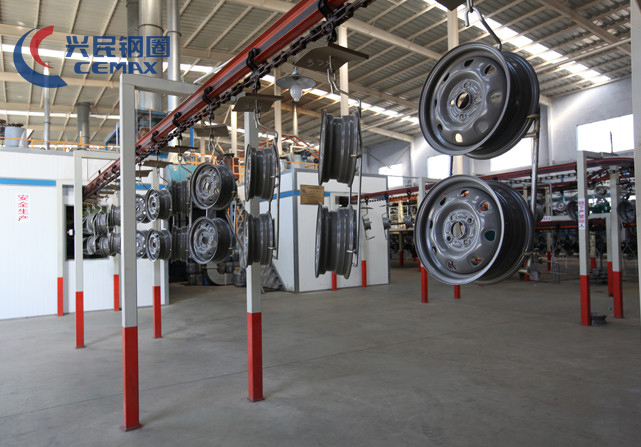 Xingmin introduces the advanced flow forming technology, and ieads the innovation of light wheel design. The R&D team strives for breakthroughs of new techniques. We have successfully come out with a dozen of light wheel design. By using the leading flow forming technique, the material is saved by 20%,but the strength increases by 20%. 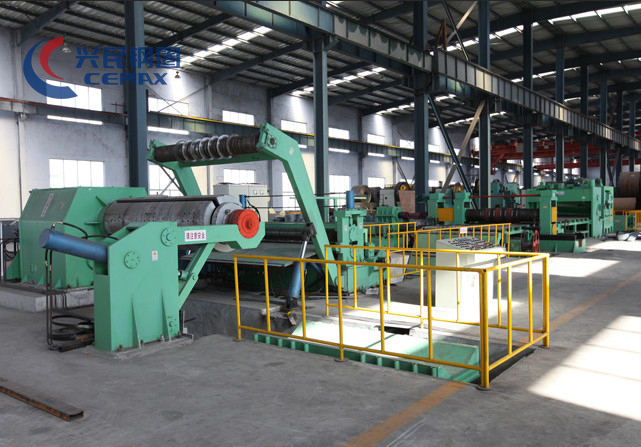 The loading capacity is 3 or 4 times greater than the original steel.Undoubtedly, the application of this technique creates a win-win situation for Xingmin and its customers.